Our family has loved exploring the world of Hogwarts and Hogsmeade at Universal Studios for the last few years. As a matter of fact, we were just here again this past December, and it never loses its magic for us. Now, Harry Potter fans like us have even more reason to head back to Universal Studios in Orlando. 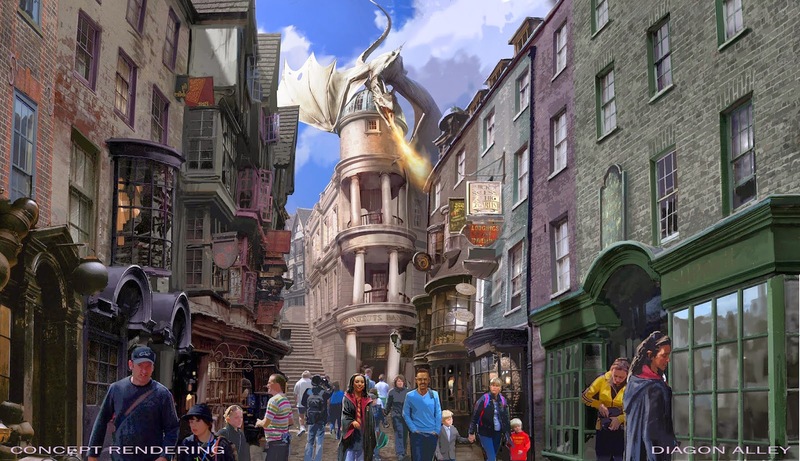 This summer, The Wizarding World of Harry Potter - Diagon Alley will be opening in Universal Studios. 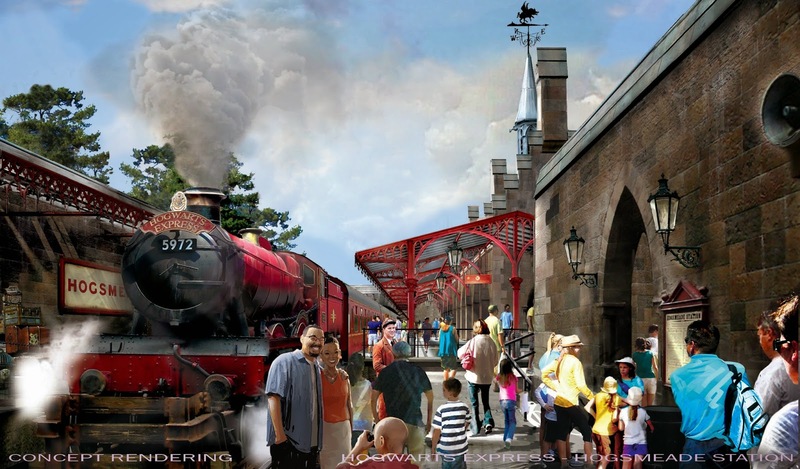 Not only that, but guests will also be able to experience a fully immersive ride on a very real Hogwarts Express for a complete park to park experience! The new Diagon Alley addition to the Wizarding World of Harry Potter will be located in the Universal Studios park, and will feature key scenes from London, Diagon Alley and even the ever spooky Knockturn Alley. Here is just a sampling of what you will find in this newly themed area of the park. If all of the above weren't enough, Universal Orlando is going above and beyond to make an immersive experience for its guests. This summer, guests will be able to board a real live version of the Hogwarts Express complete with billowing smoke, views of the countryside and even dementors! You will be able to ride the Hogwarts Express from Hogsmeade in Islands of Adventure with your 2-park pass, and ride it all the way to Diagon Alley in Universal Studios. This is just any ride though, it is a true experience. Check it out! Could you be more excited? I know that we will definitely be planning a trip to go see it once it opens this summer, and I will be sure to keep you all updated on any new details I receive! For now, you visit the Universal Studios Harry Potter website for all the latest information and news. This sounds like so much fun! I wish I could plan a trip down there this summer! This sounds so cool, we are heading there this weekend I can't wait until it is ready. We will be there later this year and can't wait! It looks amazing. THIS would make me want to head down there ... even with little ones! Exactly, seems adventurous, I will definitely make a trip to the Hogwards in upcoming trips. This sounds amazing. I so dream of visiting one day! This sounds like so much fun. I hope to go see it one day. I know my kids and husband would love to explore through all of this. This looks like so much fun...I wanna Go! I have got to go back, we went last year and loved it! I can't wait to head back to Orlando. We are hoping to make a trip in October! This entire area of Universal looks like a must see for any Harry Potter fan! I would love to take our son to Universal and let him experience this! I'm going back in August and I'm so excited to see the new changes. It was so busy last time that I didn't even get to try butter beer. Gasp. I still have not gone there yet! I really want to. Oh it's going to be just stunning! I so want to go. I know Landon would love that train!